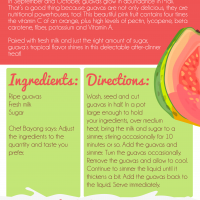 With its tropical flavor that has been described as a combination of pear, strawberry, pineapple and even banana, guava is not just delicious — it is also packed with nutrients. 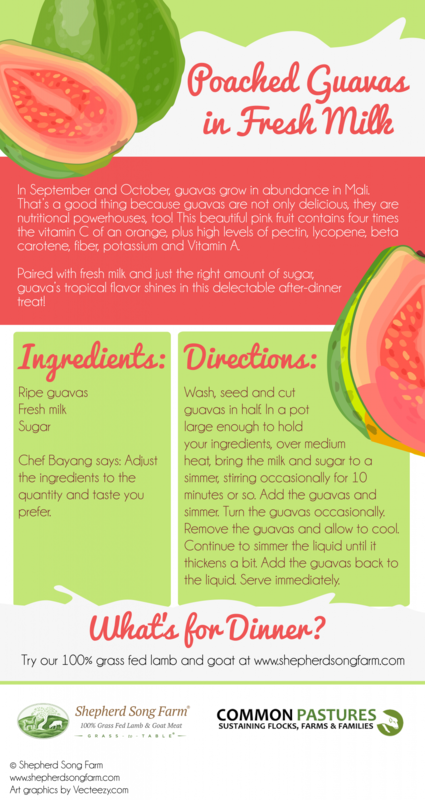 In this recipe, the beautiful pink fruit is lightly poached and paired with milk and sugar. It’s a simple–yet highly decadent–dessert that will satisfy your sweet tooth!